The Annunciation always falls on March 25, exactly nine months before the birth of Jesus Christ at Christmas. However, the celebration of the feast is transferred to a different date if it falls on a Sunday of Lent, during Holy Week, or during the octave of Easter. Stanislaus was born of noble parents on July 26th at Szczepanow near Cracow, Poland. He was educated at Gnesen and was ordained there. He was given a canonry by Bishop Lampert Zula of Cracow, who made him his preacher, and soon he became noted for his preaching. He became a much sought after spiritual adviser. He was successful in his reforming efforts, and in 1072 was named Bishop of Cracow. He incurred the enmity of King Boleslaus the Bold when he denounced the King’s cruelties and injustices and especially his kidnapping of the beautiful wife of a nobleman. When Stanislaus excommunicated the King and stopped services at the Cathedral when Boleslaus entered, Boleslaus himself killed Stanislaus while the Bishop was saying Mass in a chapel outside the city on April 11. Stanislaus has long been the symbol of Polish nationhood. He was canonized by Pope Innocent IV in 1253 and is the principle patron of Cracow. His feast day is April 11th. On Palm Sunday, we celebrate the first joy of the season, as we celebrate Our Lord’s triumphant entrance into Jerusalem where he was welcomed by crowds worshiping him and laying down palm leaves before him. It also marks the beginning of Holy Week, with the greatest tragedy and sorrow of the year. Jesus’ triumphant return to Jerusalem is only one side of the story. By now many of the Jews are filled with hate for Our Lord. They want to see him stoned, calling Him a blasphemer, especially after offering proof of His Divinity during a winter visit to Jerusalem for the Feast of the Dedication. After this, Jesus went to Perea, where he was summoned to Bethany. There he raised Lazarus from the dead, a miracle which wins Him such renown among certain Pharisees that they decided finally to end His life. Jesus took refuge at Ephrem returning six days before Passover to Bethany, triumphantly entering Jerusalem. That evening, He leaves Jerusalem and returns Monday. He spent time with Gentiles in the Temple, and on Wednesday left for the Mount of Olives. Here he foretold the apostles the events of the next several days, including His impending death. is the commemoration of the Last Supper of Jesus Christ, when he established the sacrament of Holy Communion prior to his arrest and crucifixion. It also commemorates His institution of the priesthood. The holy day falls on the Thursday before Easter and is part of Holy Week. Jesus celebrated the dinner as a Passover feast. Christ would fulfill His role as the Christian victim of the Passover for all to be saved by His final sacrifice. 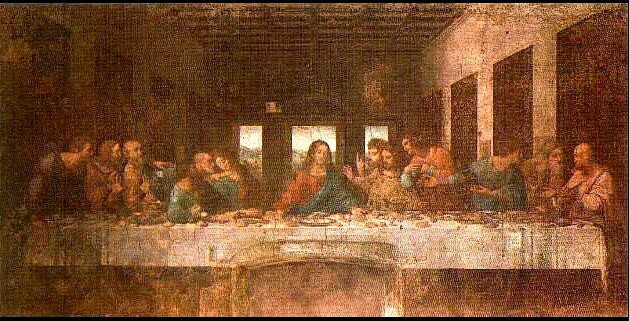 The Last Supper was the final meal Jesus shared with his Disciples in Jerusalem. During the meal, Jesus predicts his betrayal. The central observance of Holy Thursday is the ritual reenactment of the Last Supper at Mass. This event is celebrated at every Mass, as party of the Liturgy of the Eucharist, but it is specially commemorated on Holy Thursday. He also establishes the special priesthood for his disciples, which is distinct from the “priesthood of all believers.” Christ washed the feet of his Disciples, who would become the first priests. This establishment of the priesthood reenacted at Mass with the priest washing the feet of several parishioners. During the Passover meal, Jesus breaks bread and gives it to his Disciples, uttering the words, “This is my body, which is given for you.” Subsequently, he passes a cup filled with wine. He then says, “This is my blood…” It is believed those who eat of Christ’s flesh and blood shall have eternal life. 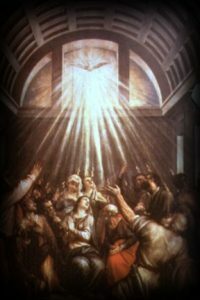 During the Mass, Catholics rightly believe, as an article of faith, that the unleavened bread and wine are transformed into the body and blood of Jesus Christ through a process known as transubstantiation. There have been notable Eucharistic miracles attributed to this event, such as bleeding hosts (communion wafers). The Last Supper is celebrated daily in the Catholic Church as part of every Mass for it is through Christ’s sacrifice that we have been saved. On the night of Holy Thursday, Eucharistic Adoration of the Blessed Sacrament takes place where the faithful remain in the presence of the Eucharist just as the Disciples kept a vigil with Christ. Following the Last Supper, the disciples went with Jesus to the Mount of Olives, where he would be betrayed by Judas. At every hour of every day, somewhere around the world, Mass is being said and Communion taken. This has been happening incessantly for at least several hundred years. For nearly the past two thousand years, not a single day has gone by without a Mass being celebrated in some fashion. Therefore, anyone who celebrates the Mass participates in a daily tradition that is essentially two thousand years old. is the day on which Catholics commemorate the crucifixion of Jesus Christ. Catholics are joined by almost all other Christians in solemn commemoration on this day. It is also a legal holiday around much of the world. 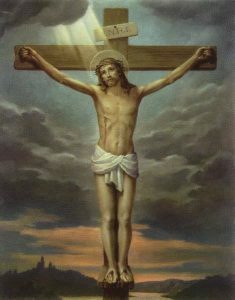 Before his execution, Jesus was flogged, which was a customary practice intended to weaken a victim before crucifixion. Crucifixion was an especially painful method of execution and was perfected by the Romans as such. It was reserved for the worst criminals, and generally Roman citizens, women, and soldiers were exempt in most cases. The solemn, muted atmosphere is preserved until the Easter Vigil. Many Catholics attend Easter Vigil at midnight, although the services can be lengthy because many sacraments are performed, such as baptisms and Rite of Christian Initiation for Adults, during the Mass. Services during the daytime on Easter are shorter and well attended. 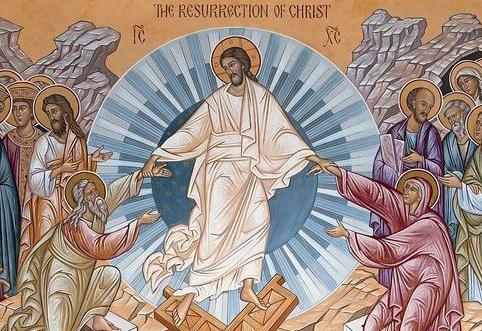 is the celebration of Christ’s resurrection from the dead. 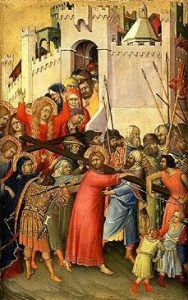 It is celebrated on Sunday, and marks the end of Holy Week, the end of Lent, the last day of the Easter Triduum (Holy Thursday, Good Friday and Easter Sunday), and is the beginning of the Easter season of the liturgical year. 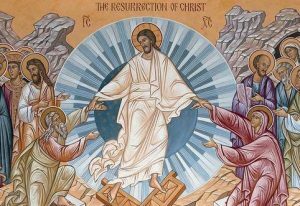 Since Easter represents the fulfillment of God’s promises to mankind, it is the most important holiday on the Christian calendar. All of this is done by our Lord for forgiveness of our sins, and for life everlasting with Him. God so loved us, that He sent His only begotten Son to die for us, so that our sins maybe forgiven.